Canada’s federal government is poised to legalize recreational marijuana, which has landlords there wondering how the move will affect them. While the measure still must pass more legislative hurdles, many are predicting that marijuana will become legal by July, 2018. While the marijuana bill is creating a big sensation, it is woefully short on details. The proposal allows residents over the age of 18 to grow four marijuana plants at home. What it doesn’t address is whether landlords will be forced to allow recreational marijuana in rental properties. Grow lights and increased heat can cause property damage, generate mould or trigger allergies. Landlord associations, including the Professional Property Managers Association in Manitoba, Landlords B.C., Quebec Landlords Association and the Canadian Federation of Apartment Associations already have spoken out about these and other concerns, and are asking for the right to ban tenants from growing or smoking marijuana in rental properties. It is impossible to predict whether lawmakers will provide landlords the right to manage marijuana in rental properties. So far, there has been little sympathy for landlords when tenants use medical marijuana in apartments, and with the large number of residents who rent, demographics don’t help. At the same time, with vacancy rates so low and affordable rental housing so illusive, governments may be willing to address the concerns of private landlords. Nothing is finalized at this juncture, and provinces may be allowed to add restrictions, so landlords who are concerned about this issue still have time to act. One of the best ways to make a difference is to join and support your local landlord association. Landlords are most successful when presenting a united front, and these associations likely have the legal resources needed to make your voice heard. Many tenants won’t understand the nuances of the law — specific restrictions that might apply, as well as the landlord’s rights. Be prepared to educate tenants as to the rules and make sure they understand their responsibilities. Develop your rules as quickly as possible. Your local landlord association can assist you with this. Chances are, any restrictions on marijuana use will need to be included in the tenancy agreement; otherwise, the landlord may have to wait it out until the tenant moves on. Thank you for addressing this issue. Helpful and mind provoking. 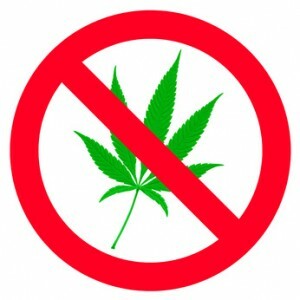 I believe that if you have a no smoking policy, tenants cannot smoke marijuana in the rental. It is smoking! I will have a no plant policy in my lease from hereon in. NO PLANTS! Flowers are different than plants. NO PLANTS. If you treat everyone the same, then you should not be seen as discriminatory. As Chris stated in the article, there is alot that the Governments need to clarify and work through here. As a landlord, I will stipulate no smoking and no plants. SITE INSPECTIONS; Many landlords do not conduct site inspections! This is one of the single most important factors to mitigating risk of damaged rental property and rental income loss.